Don’t eat dairy? Or just want to try something new. No problem! 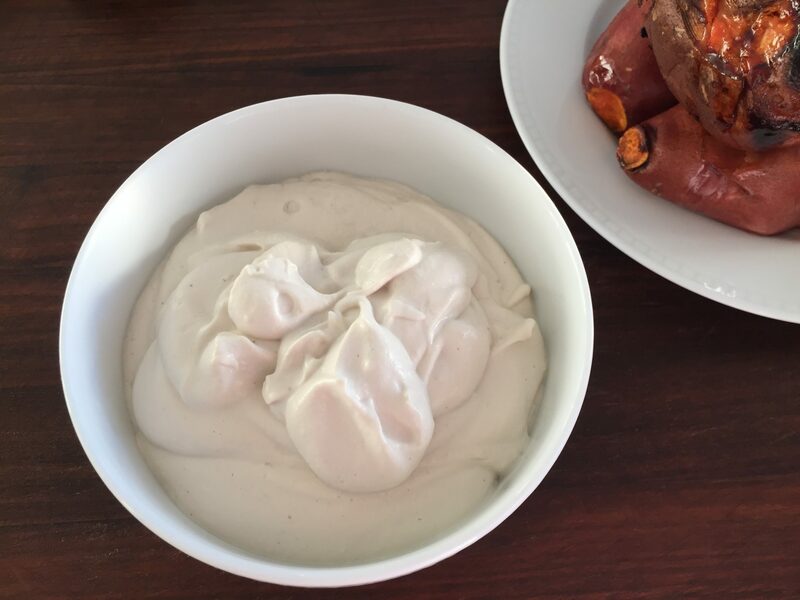 This cashew cream will seriously knock your socks off. Add to soups, chili, tacos, burritos or pastas. Even my husband was a skeptic but not anymore! You have nothing to lose, it takes 5 minutes! Finished product…SO worth it! One of my favorite meals to date! A creamy addition to any meal! Top a soup, add to chili, burritos, tacos or pasta dishes! Soak cashews overnight, if time permits. Otherwise, I usually take the short cut and soak in a bowl with boiling water for at least an hour. That works just as well. Place cashews in a blender or food processor. Add lemon juice, salt and water.